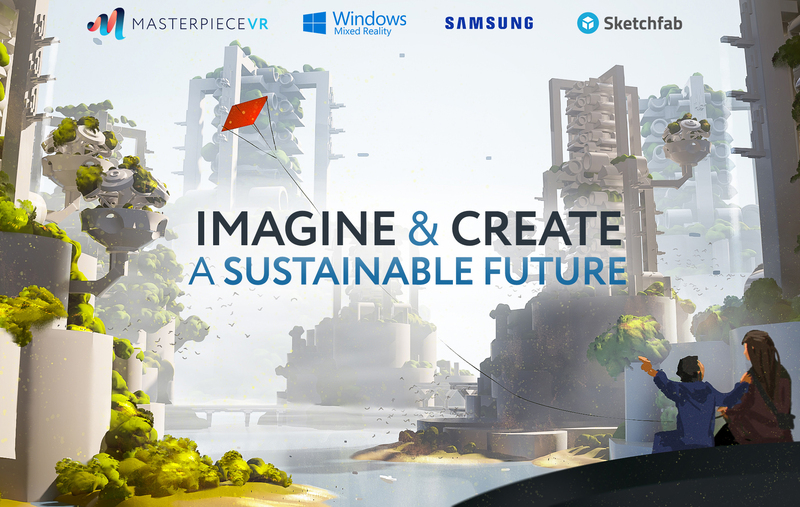 To commemorate Earth Day, MasterpieceVR, Microsoft and Samsung have joined forces with a contest to inspire artists to use their imaginations to create 3D content that addresses environmental urban problems and together ultimately build in virtual reality an ideal sustainable city of the future. With world populations rising, climate change and resource strain, as a community we need to think about and create urban environments that are regenerative and sustainable. Using MasterpieceVR, a collaborative sculpting and painting tool and mixed reality technology, people from around the world can immerse themselves in a virtual environment where they can co-create a blueprint for an ideal sustainable city of the future. The contest runs from April 17th to May 29th and ask artists to sculpt a sustainable concept that matters to them that could focus on issues around water, energy, transportation, agriculture waste management and sprawl. Unique concepts already created include an air purifying satellite, a self sustainable high rise with vegetable gardens, solar energy storing electric motorcycle and more. Check out our Artist Spotlight to learn more about these VR artists. There are three submission deadlines May 1st, 15th and May 29th and three opportunities to win cash prizes and 3D prints for the most inspiring concepts and models. The virtual city will be uploaded to MasterpieceVR as an environment every two weeks allowing people to explore the creations of artists from around the world. Find out more about the Sustainable City Contest.